The cost of hiring a removal company in Australia is anything between $550 and $3500, according to reliable sources. How far your new location is from your current location – Needless to say, local removals cost less than interstate relocation. And in interstate removal typically greater the distance, higher the cost. The amount of furniture you have – Removing furniture and other heavy stuff like the piano and pool table is often complicated. If you’ve more of these items, you can expect your cost of moving to be more. Whether you hire a door-to-door solution or only moving services – Are you planning to pack as well as load your stuff yourself? If so, your cost would be lower. With that said, it is always better to let experts pack and load your stuff. A door-to-door removal solution takes all the stress off your shoulder and it also minimizes the risk of breakage or damage. What’s more, when you hire end-to-end removal solution, you are properly reimbursed in case of any breakage or damage. To get a specific and accurate price estimate for your house relocation, you should get a free online quote. All movers offer free online quote and nearly each of them claims to offer the lowest price. However, in truth, you can’t an accurate quote till you have provided relevant details to the provider, such as a complete inventory list, the date of moving, and the distance that needs to be covered. Some additional factors that will affect your costs are listed ahead. Have a look. The amount of time it would take to complete your move – Some professional movers charge a fixed rate while others work on hourly or half-hourly basis. If you are using a removal service to only transport your belongings, and not pack and load them, you could reduce your costs by ensuring everything is neatly packed before the team arrives at your doorsteps on the moving day. It would also help to have as many friendly hands as possible to load your belongings. 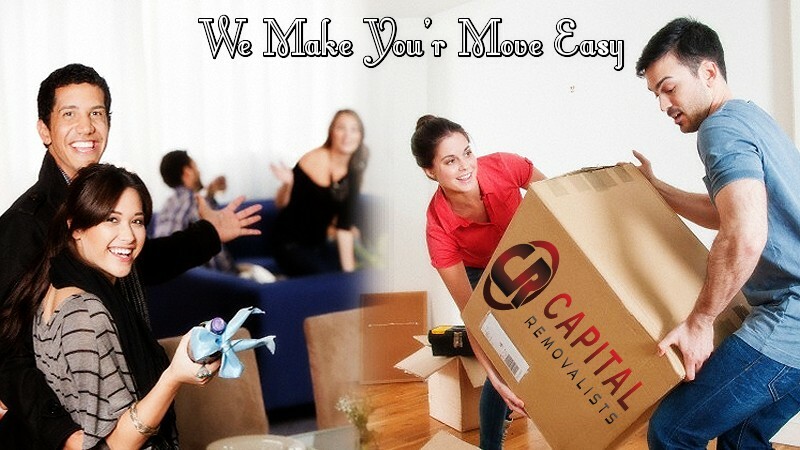 The number of movers you need – Your relocation cost is affected by the number of men used to pack and load your stuff. Therefore, even when you have hired the door-to-door solution, it would help to have friends near you on the big day, especially if you have a lot of stuff to pack and load. This way, you would be able to do things with only one mover, instead of two or even three. How much stuff you need to relocate – You can cut down your removal costs, by moving lighter stuff yourself and hiring a professional removal company for only heavy stuff, like your furniture. It’s clear that by investing more time as well as effort into your relocation, you can reduce your considerably. However, not everybody can spare time for their move or put in some effort or rope in the help of friends. So this is something you’ve to judge for yourself. If you are busy with your work or personal life, it would be best to go in for a door-to-door solution and leave everything to the experts. Such a move plan will give you peace of mind because the moving company will take care of everything, leaving you with time and energy to attend to more important matters in your life. Another thing to keep in mind is to not fall blindly for the moving company with the lowest quote. You must read the fine print carefully to ensure that there are no extra charges or hidden costs involved. You will also need to check whether all the requested services are covered in your plan or not. Lastly you must research the company online to check its level of service or, better still, speak with their past customers to learn about their experience. Apart from the moving cost, consider the total experience of the provider before hiring them. A novice removalist might make a lot of mistake turning your low-cost removal solution into a nightmare. On the other hand, an experienced removalist, thanks to their years of experience, might be better placed to execute your move professionally. Also ensure that the moving company you hire has the relevant moving experience. For instance, if you are based in Melbourne and are shifting to Sydney, hire an interstate removalist. Don’t think that all Melbourne removalists offer interstate removal solutions—because that is not the case. Similarly if you own a piano, hire a removal service that has previous experience of handling pianos. Careful research while hiring a moving company can help you to not only reduce your moving costs but also prevent bad experiences.